House Democrats late Wednesday released a full email exchange in which Colin Powell advised Hillary Clinton just after she was sworn in as secretary of state on the use of personal email and devices. The exchange, released by Rep. Elijah Cummings, D-Maryland, the top Democrat on the House Oversight and Government Reform Committee, occurred two days after she took over the cabinet position in 2009. “I hope to catch up soon [with] you, but I have one pressing question which only you can answer! What were the restrictions on your use of your blackberry?” Clinton asked Powell, who served as secretary of state under President George W. Bush. Clinton wanted to continue using her Blackberry in her new position and Powell responded saying he didn’t have one and developed another system instead that allowed him to communicate with people without it going through servers at the State Department. He then explained that the real issue when he ran the State Department was PDAs, which he said Diplomatic Security wouldn’t allow into secure spaces. “When I asked why not they gave me all kinds of nonsense about how they gave out signals and could be read by spies, etc. Same reason they tried to keep mobile phones out of the suite,” Powell told Clinton. Powell said he used an “ancient version” of a PDA. The last part was disclosed in an FBI report released Friday that contained dozens of pages of documents of its investigation into Clinton’s use of private email servers as secretary of state. 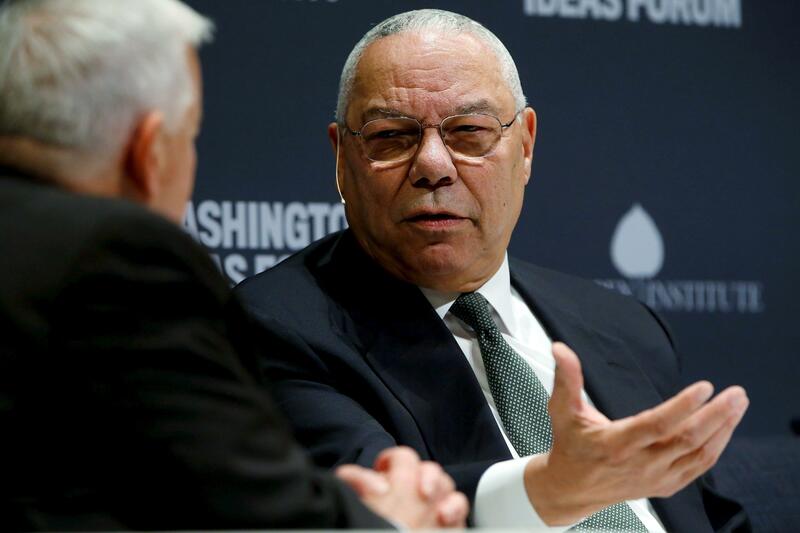 Cummings said in a statement that the email exchange shows “the longstanding problem” that no secretary of state ever used an official unclassified email account and that Powell himself tried to circumvent the rules. “This email exchange shows that Secretary Powell advised Secretary Clinton with a detailed blueprint on how to skirt security rules and bypass requirements to preserve federal records, although Secretary Clinton has made clear that she did not rely on this advice,” Cummings said. Powell recently said in an interview with People magazine that Hillary Clinton’s aides have been trying to blame her use of private email servers on him even though he claimed she had been using them for a while before he even advised her to use a private email.